phone and or email from Coach Dearing. Don’t have a mobile phone? Go to https://www.remind.com/join/bjhscr on a desktop computer to sign up for email notifications. Welcome to BJHS Cross Country 2018. Contact Coach Dearing with any questions! Coach Heather Hoisington will be assisting again this season. We will have signups at the jr. high during the first week of school. Students will be called to the cafeteria, or other location, to signup and receive all the documents they will need and to ask questions about the team. The first practice will be Monday September 10th. The complete practice and meet schedule will be published soon. 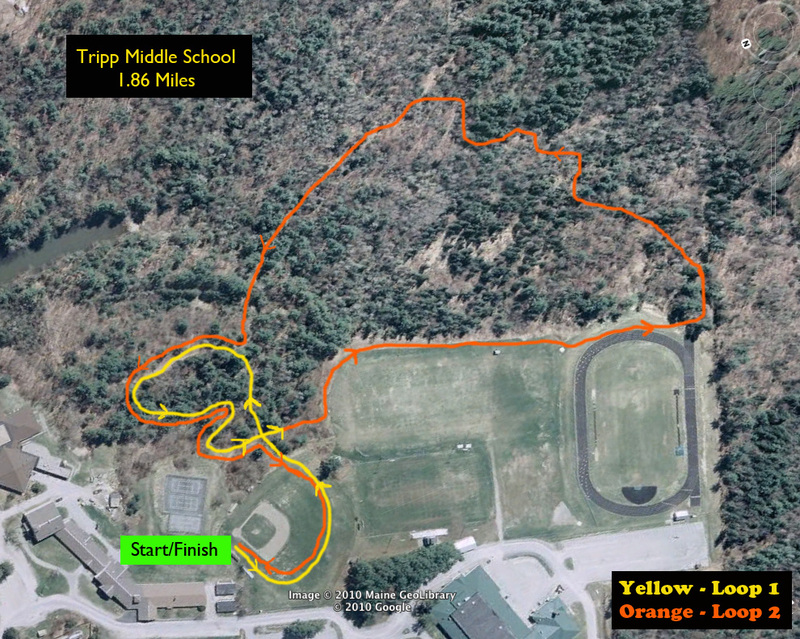 Brunswick Jr. High is a member of the Andy Valley League which includes cross country teams from: Auburn, Brunswick, Mt. Ararat, Oxford Hills and Tripp. 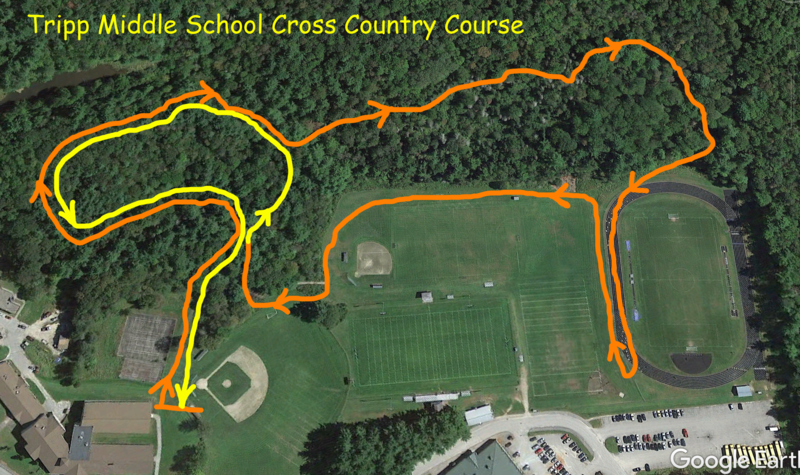 Occasionally, schools from outside of our league will also run at our meets. 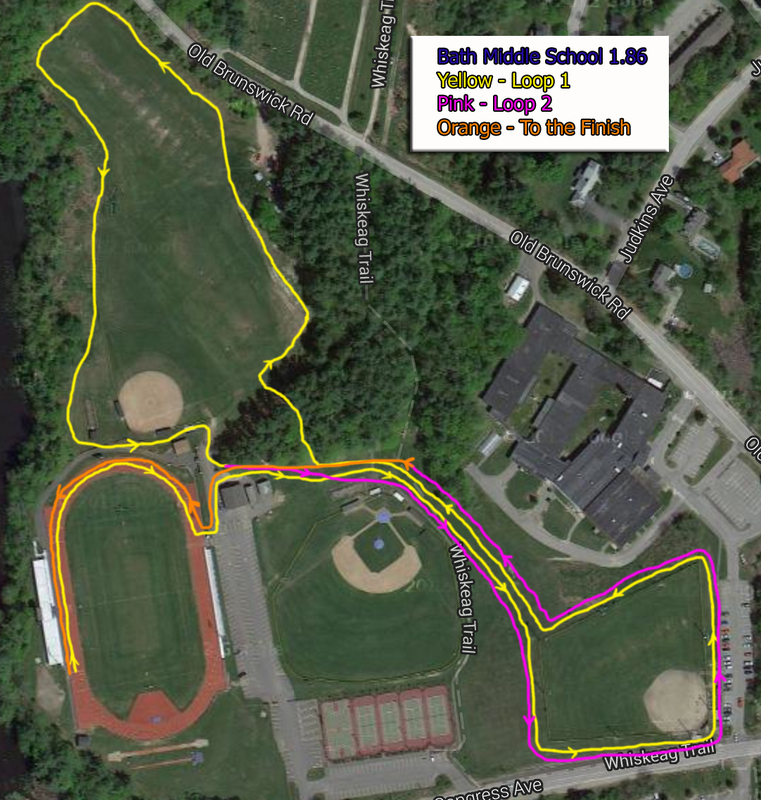 Click for Course Maps: BJHS | BMS | Mt. 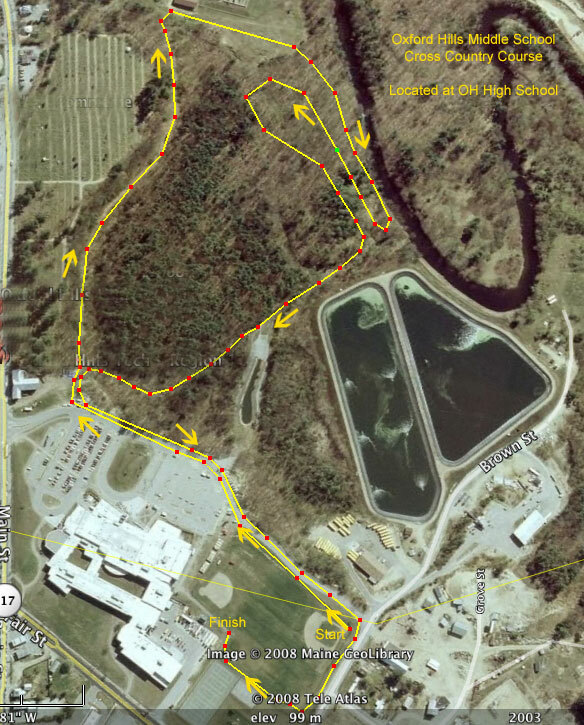 A not for 2017| OH |TMS – Possible New Course TMS – old, Auburn will be added. Courses are subject to change! 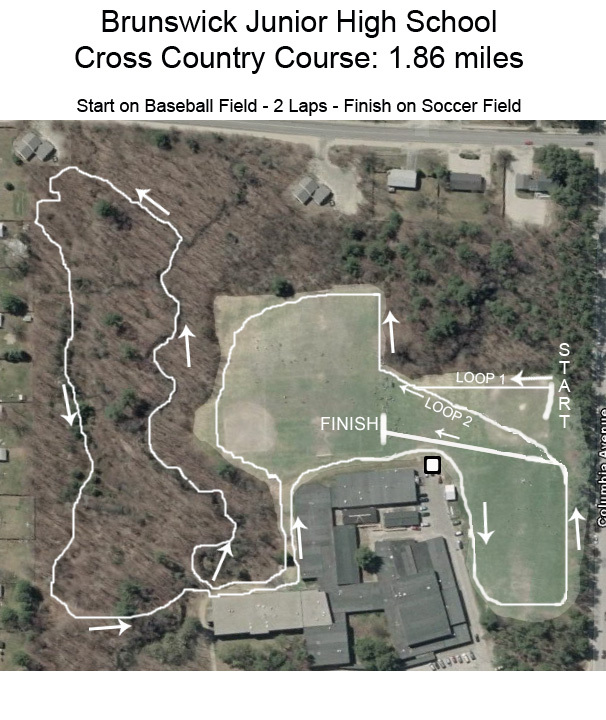 The courses are usually 1.86 miles. The terrain will include grass fields and trails. Times for running the courses are usually between 11:00 to 18:00 minutes. Parents and friends are encouraged to attend meets. Boys and girls run in separate races at the meets, but train together during practices. 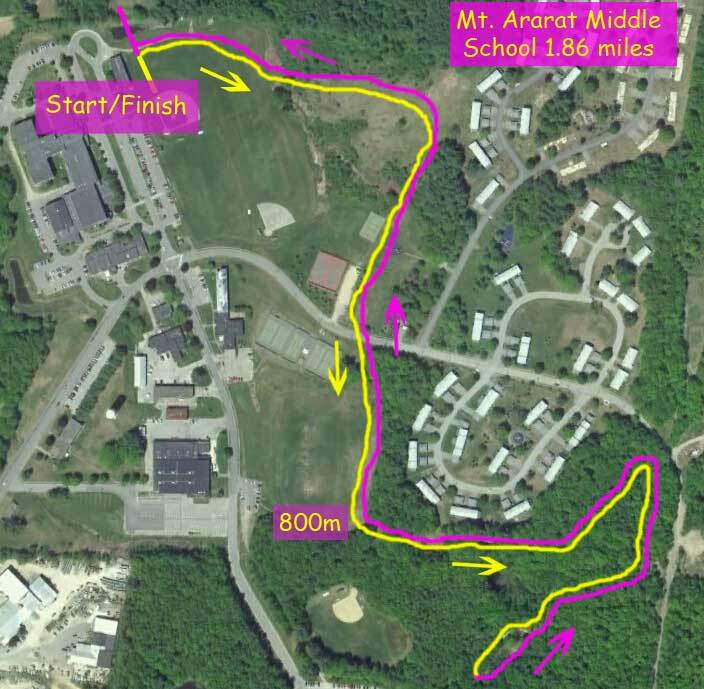 During the week, practice will include longer easier runs of 25 to 35 minutes for aerobic training plus shorter technical running for anaerobic threshold development. With stretching before and after runs most practices will range from 2:40 to the pick up time of 4:00. Please check the schedule for all times. Practice: The team will first change up in the locker rooms, then meet with full team in the cafeteria each day. Each day team members should bring a bag with shorts, t-shirt and shoes to run in. A water bottle and light snacks are also good to have. If it is raining lightly we will probably still have practice. If it is a hard cold rain, practice will probably be cancelled. Announcements of changes or cancellations will be made on school website and email list. Meet #5 Girls Results – Boys Results – At Tripp with Oak Hill and Spruce Mt. Meet #4 Girls Results – Boys Results – At Oxford Hills with Bath and Spruce Mt.